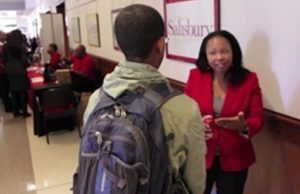 students who don’t understand how decisions they make now can affect their future? first generation students who don’t know where to start? outstanding students who need general direction and inspiration? students who need help writing a college or scholarship essay? If you answered yes to any of the above questions, Marianne Ragins is the answer for your high school student audience. 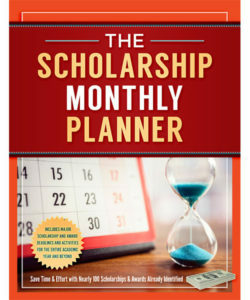 As perhaps the first student ever to win $400,000 in scholarships and a best selling author, Marianne is an inspiring individual who persevered to do something no one in her world had ever done before by launching her own scholarship bonanza and incurring zero student debt to get a bachelor’s and master’s degree. Marianne can be your next speaker for high school students and parents in your group. For nearly two decades, motivational keynote speaker Marianne Ragins has been inspiring and motivating thousands of students, parents and educators throughout the country. Contact her today to provide motivation and inspiration to help your student audience realize their dreams and create their own success. Marianne also offers presentations for educators and youth leaders who work with high school students. Youth Success Begins with YOU! 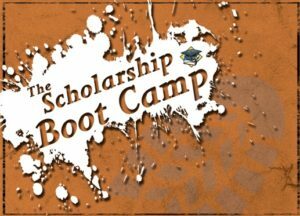 If you have students who are just getting started or they don’t know how to get started and need some motivation and direction for writing a scholarship or college essay, Marianne can present the helpful and interactive Scholarship and College Essay Writing Boot Camp to your high school student group. If you are interested in having Marianne Ragins as your keynote speaker for a general audience on one of the topics included above, a breakout session or a custom topic, click here or you can visit our contact page. Ragins can also speak at graduations: contact her to be your next commencement speaker!